British Railways built 5MT 4-6-0 No 44659 passes the station on a down freight being banked to Camp Hill by Johnson 3F 0-6-0 No 43693 on 26th April 1958. One of the major attractions to train spotters at Saltley station was the never ending parade of goods trains climbing the bank to Camp Hill station. 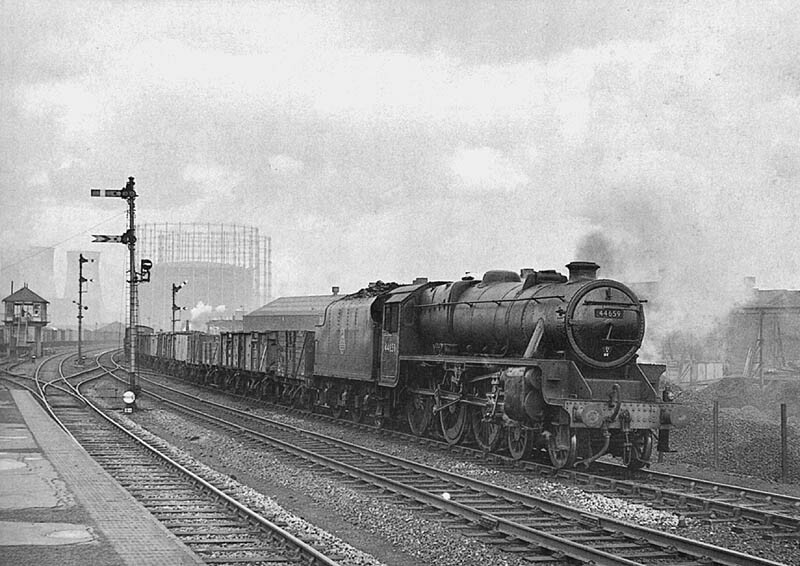 Built at Crewe works in May 1949 No 44659 remained in service until June 1967 when it was withdrawn from 8L Aintree shed.